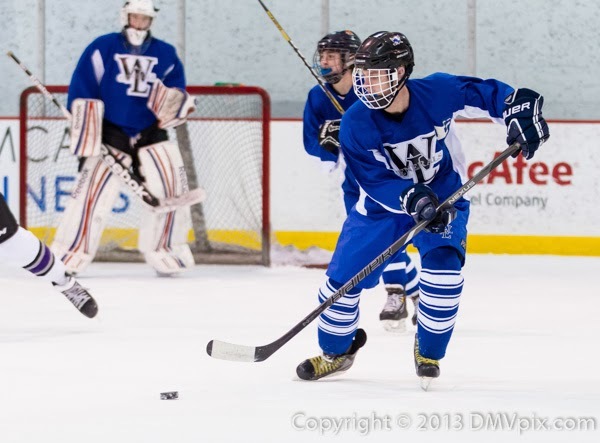 The Yorktown Patriots swept their cross-town rivals, the Washington-Lee Generals, in basketball action on Friday night. The Patriots girls won 39-35 (Freshman), 29-28 (JV) and 61-31 (Varsity), while the boys won 49-47 (Freshman), 48-46 (JV) and 60-52 (Varsity). The Generals were able to celebrate a significant milestone though. Jonah Sens, a senior forward, reached 1,000 career points in the first quarter after sinking two free throws. The game was momentarily stopped (photo below) and the ball was awarded to Sens, who gave it to his father in the stands. 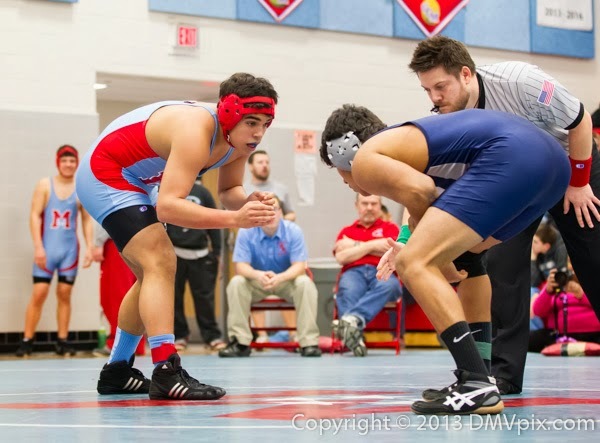 The George C. Marshall Statesmen hosted a JV wrestling meet on Thursday night, which was attended by Falls Church Jaguars, Washington-Lee Generals, West Springfield Spartans, W.T. 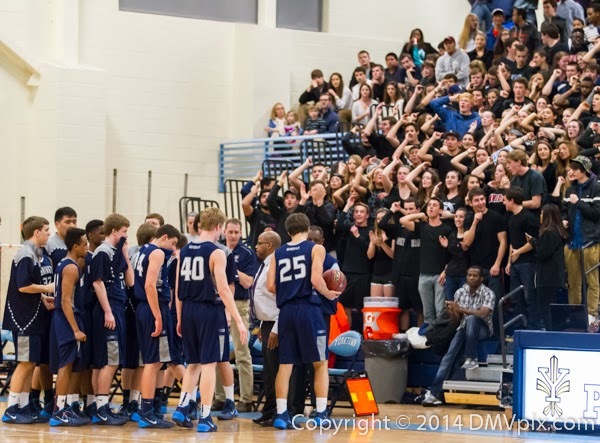 Woodson Cavaliers and Potomac Panthers. 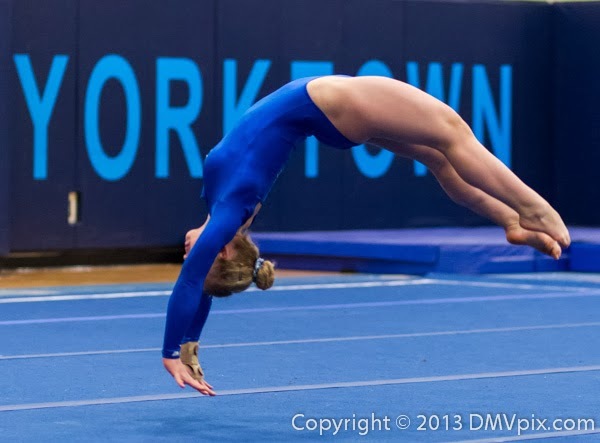 The Yorktown Patriots took first place overall in a home varsity gymnastics meet on Wednesday night, ending the Washington-Lee Generals four-year winning streak in regular-season matches. 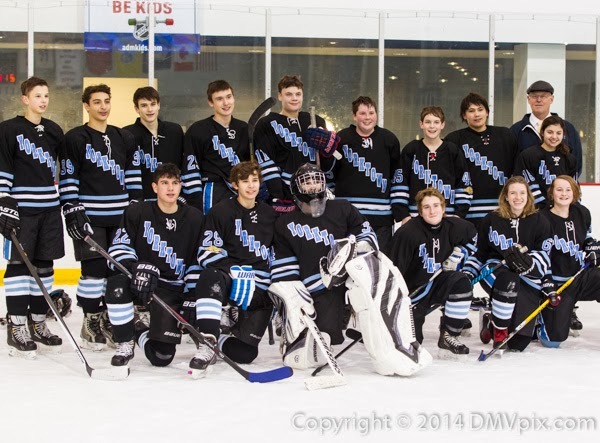 The Generals finished second, followed by the Madison Warhawks, Edison Eagles and Wakefield Warriors.